Jeff Easley has a well known legacy from his long tenure as an artist working for TSR, and later Wizards of the Coast. 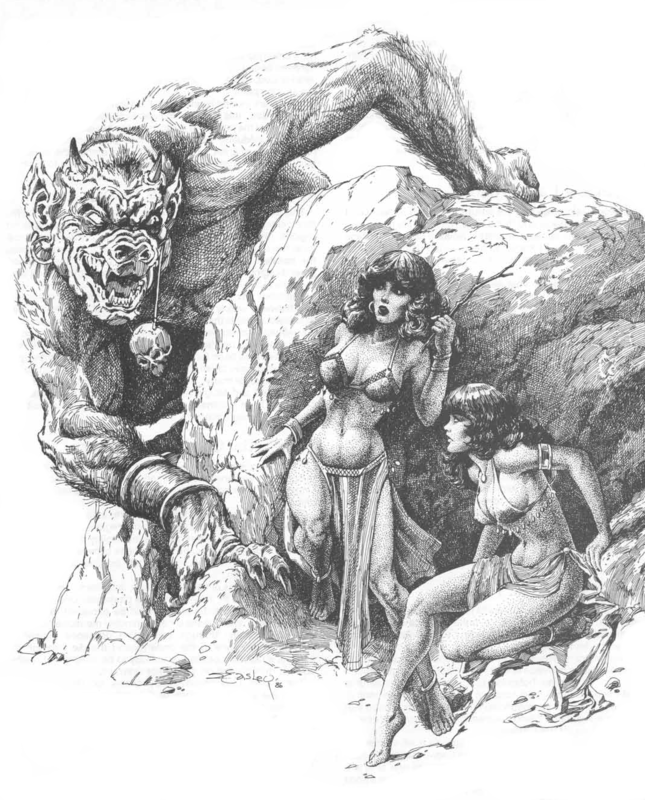 His fantasy artwork in the tradition of Frank Frazetta graced the covers and interiors of many Dungeons and Dragons rule-books and adventures. Beautiful women, heroic men, epic monsters… his work is classic! I’ve always loved his stuff and admired his skill. Although gorgeous paintings are his hallmarks, this inked illustration adorning the seventy-second page of the 1986 AD&D Dungeoneer’s Survival Guide supplement stays in my memory. I love your comment on this. Belly dancing competition gone awry? :-D Wonderful illustrator.